Shinichirō Watanabe is a Japanese anime filmmaker, screenwriter, and producer. 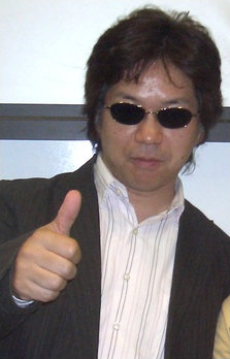 He is known for directing the popular anime series Cowboy Bebop and Samurai Champloo. Watanabe is noted for blending together multiple genres in his anime. For example, in Cowboy Bebop, classic cowboy western mixes with 1940s/1950s New York City film noir, Jazz music and Hong Kong action movies, all while being set in space. In his later work, Samurai Champloo, Watanabe mixes the cultures of Okinawa, hip-hop, modern-day Japan, and samurai.